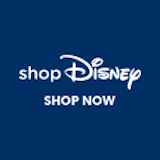 Monthly sales data for May 2012 - DVCNews.com - The essential Disney Vacation Club resource! Even though Disney's Saratoga Springs Resort & Spa and Bay Lake Tower at Disney's Contemporary Resort are no longer being actively marketed, Disney Vacation Development posted its highest number of point sales in a month since DVCNews.com began tracking sales in July 2010. In May 2012, DVD sold 265,239 points, topping the 262,756 points that were sold in March 2011. Combined with sales in April 2012, DVD has sold 521,214 points in the last two months. The sales data includes all seven Disney Vacation Club resorts at Walt Disney World, as well as Disney's Vero Beach Resort and Disney's Hilton Head Island Resort. Point sales data is not available for the Villas at Disney's Grand California Hotel or for Aulani, Disney Vacation Club Villas. The data is compiled from deeds filed by Disney Vacation Development and recorded with the Orange County (FL) Comptroller, the Indian River County (FL) Clerk of Court, and the Beaufort County (SC) Register of Deeds. Disney's Animal Kingdom Villas - As has been the recent pattern, sales for Disney's Animal Kingdom Villas led the way in May 2012 with 197,087 points sold. DVD has now sold 588,319 Animal Kingdom Villas points in the first five months of 2012, which nearly matches the 602,327 points that were sold in all 12 months of 2011. Despite the increased sales activity for Disney's Animal Kingdom Villas, DVD still has a lot of unsold points in its inventory. As of May 31, 2012, DVD had over 1.9 million Animal Kingdom Villas points it can sell to the general public. If sales continue at the current rate, DVD has approximately 10 months' of inventory remaining. These numbers include the points reacquired by DVD through foreclosure proceedings, exercising its Right of First Refusal on resale transactions, and other buyback reasons. DVD has reacquired 296,703 Animal Kingdom Villas points since sales began in February 2007. DVD has declared 80.25% of Animal Kingdom Villas for the DVC membership. This means that on any given Use Day Members can book up to 80.25% of the resort using points, while the rest is used by DVD for cash reservations and other non-DVC bookings. Bay Lake Tower at Disney's Contemporary Resort - With 32,504 points sold in May 2012, DVD has only about 190,000 Bay Lake Tower points left in its inventory that it can sell to the general public. The October Use Year, which is the least common Use Year at the resort, has no more than 6,770 points that can be sold. Disney's Saratoga Springs Resort & Spa - After leading all DVC resorts in sales from mid-2011 to early 2012, Saratoga Springs sales continue to drop with only 19,152 points sold in May 2012. All of Saratoga Springs has been declared for the DVC membership. With about 14,031,570 total points, it is the largest of the 11 DVC resorts. The most common Use Year at Saratoga Springs is December with 20.48% of its total points. The least common UY is April with only 6.70% of the total.